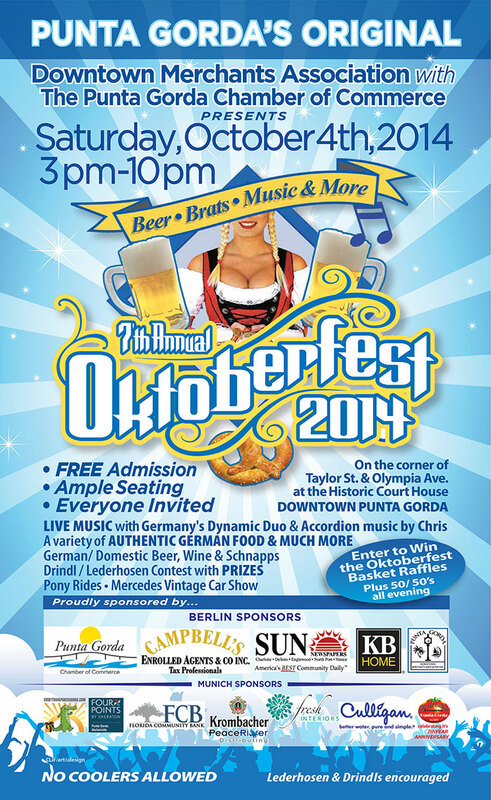 October arrives this week & with it Punta Gorda’s ORIGINAL Oktoberfest! This will be the 7th year for this annual event. 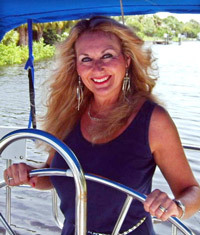 The festivities will take place this Saturday, October 4th (3-10pm) in downtown Punta Gorda on the corner of Taylor & Olympia at the Historic Courthouse. The admission is FREE!! 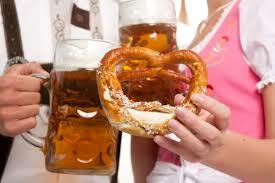 There will be plenty of seating, live music, a variety of Authentic German Food, German/Domestic Beer, Wine, &Schnapps. In addition to that, there will be a Vintage Mercedes Car Show, Pony Rides, Drindl/Lederhosen Contest with Prizes, Okoberfest Basket Raffles + 50/50’s all evening. This fun event is sponsored by the Punta Gorda Downtown Merchants Association, along with The Punta Gorda Chamber of Commerce. Come on out this Saturday & join the fun… don’t forget your Lederhosen! !